Have you reaped the benefits of castor oil yet? If you’ve been quick off the mark and already slather it on your hair, brows and eyelashes, then kudos to you. If not, you’re in for a vitamin-rich treat. While we’ve long touted the wide-ranging benefits of coconut oil, argan oil, rose hip and others, good old castor oil and its long list of uses have been left out of the healthy-oil buzz. Well, we’re here to change all that. Pressed from castor seeds found in the tropical Ricinus communis plant, castor oil is thicker and gloopier than, say, argan or coconut oil. But as its texture suggests, it’s also far richer in vitamin E and fatty acids than most plant oils, making it an especially effective replenisher for skin and hair. But the story doesn’t end there. The medicinal properties of castor oil are thought to have been harnessed as far back as ancient Egyptian times when the oil was regarded by many as an immunity-boosting elixir. In fact, it’s still a mainstay of Ayurvedic medicine. Keep scrolling to see the six best uses for castor oil and its brilliant benefits for the hair, skin and body. 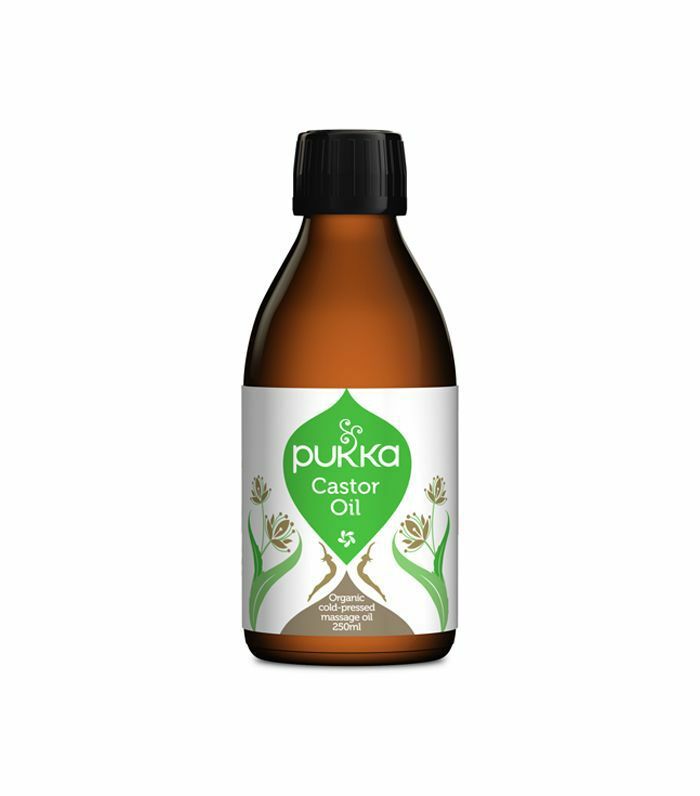 We all know that truly radiant skin starts on the inside, and according to Katie Pande, medical herbalist and senior herbal advisor at Pukka Herbs, applying castor oil topically (that’s right, no need to ingest it) can reap rewards. While the exact biochemical process behind why this method works is still being researched, the leading scientific theory is that castor oil’s properties boost the body’s lymphatic drainage system by increasing activity among some white blood cells. As a result, waste and toxins are eliminated from the body, and glowing skin emerges. Get ready to hear something groundbreaking: Castor oil could be your answer to fighting signs of ageing without super-strength serums or injections. “Castor oil penetrates the skin and helps to stimulate the body’s own production of collagen and elastin, which can soften and hydrate the skin,” explains Pande. 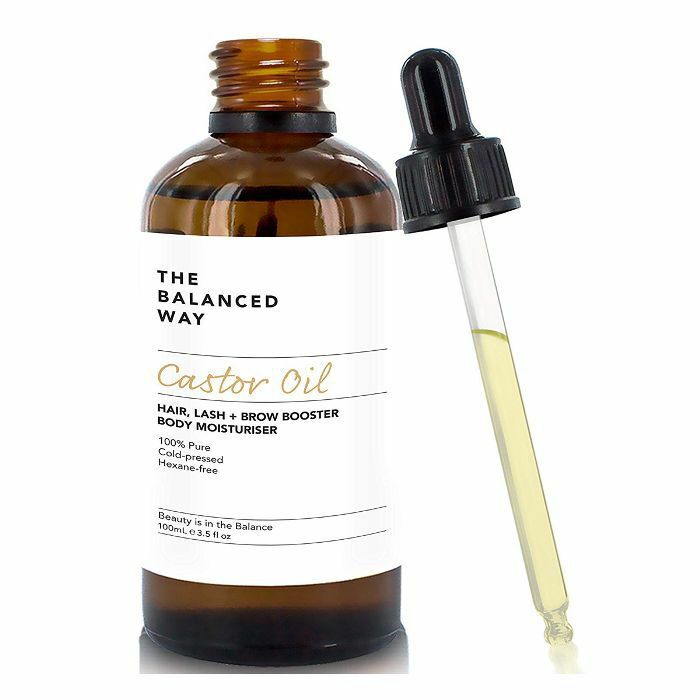 Yes, castor oil is believed to help speed up hair growth, making it a favourite for homemade brow and lash serums. There are two theories as to how this happens: The first being that ricinoleic acid works to inhibit the hormones associated with hair loss and baldness. The second theory follows on from the hydrating and healing properties of castor oil. Some say that using it while massaging the roots and scalp will help to replenish the skin (essential for hair growth) and stimulate circulation. “For longer lashes, replace your eye-makeup remover with castor oil and wipe away the day’s mascara whilst allowing the castor oil to delicately coat your lashes, lengthening and protecting them,” says Pande. As if boosting collagen and speeding up hair growth weren’t enough, castor oil is also well-known for its healing properties against eczema, dermatitis, rosacea, psoriasis and keratosis pilaris. So how does it work? 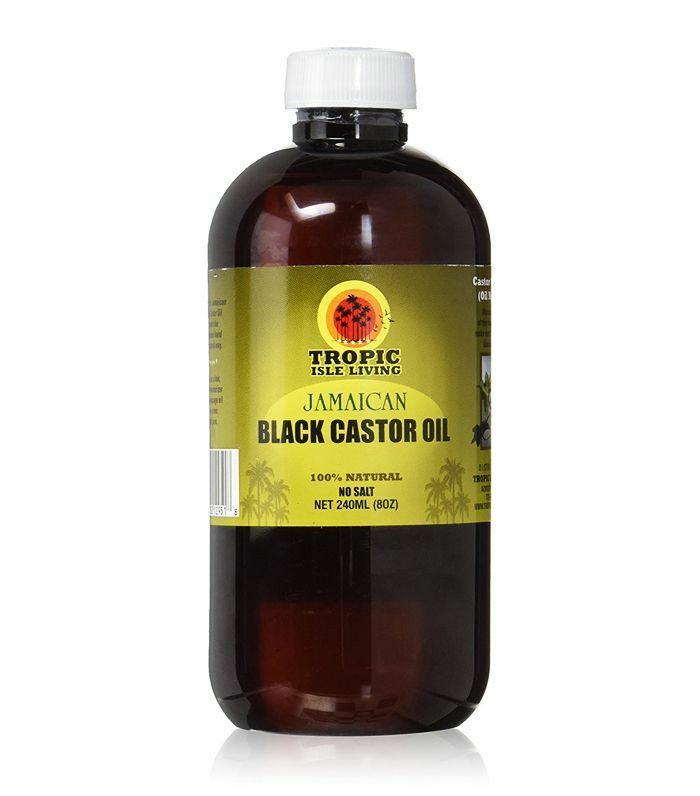 Being especially rich in naturally antibacterial and anti-inflammatory ricinoleic acid, castor oil has the advantage of a dual-action approach. The oil hydrates skin and fights bacteria at the same time, helping to end the cyclical nature of itching and irritation. “Inflamed skin is crying out for castor oil,” says Pande, who recommends dabbing a little oil on affected areas morning and night. Packed with replenishing omega-6 fatty acids, repairing amino acids and enriching vitamin E, castor oil is a great one for helping to keep hair strong and healthy, delaying the arrival of those dreaded split ends. We’ll get straight to the point: If you’re prone to sluggish digestion or constipation, castor oil is your friend. Thanks again to that high concentration of ricinoleic acid, castor oil has long been used as a natural laxative to help get things moving. “When someone swallows castor oil, ricinoleic acid latches onto EP3­ molecules in smooth muscle cells on the walls of the small intestine and causes contractions,” explains Science Magazine. Although, this does come with a warning for anyone who is expecting: Doctors often advise against using castor oil during pregnancy, as it can have a contracting effect on the uterus. A good rule of thumb is to consult a GP or pharmacist for guidelines on how to take castor oil for constipation, though some product labels suggest beginning with a 15-millilitre dose before adjusting as you need (and never exceeding 60 millilitres). Who knew one simple ingredient could hold so much beauty power? Next up, this serum made my skin feel more hydrated than ever.